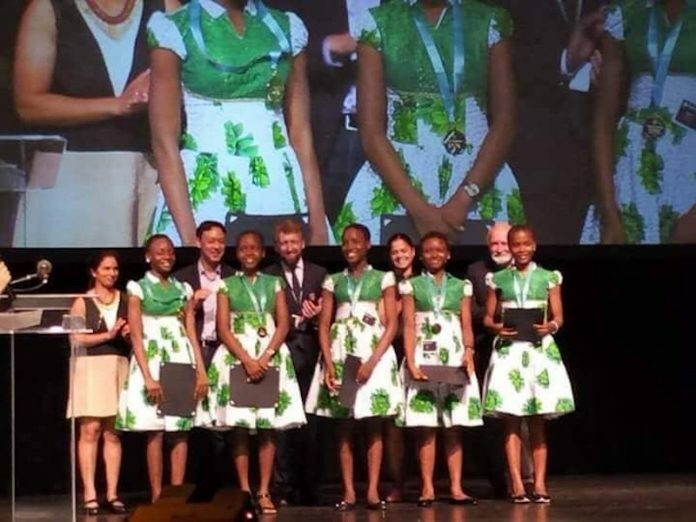 About two weeks ago, five girls from Regina Pacis Secondary School in Onitsha, Anambra State, represented Africa in Silicon Valley, San Francisco, in the United States, where they won the Technovation award after developing an app that can help prevent sale of fake malaria drugs. The girls got $10,000 prize money for the feat, which could help in tackling the malaria menace in Nigeria and Africa at large. The five girls – Promise Nnalue, Jessica Osita, Nwabuaku Ossai, Adaeze Onuigbo, and Vivian Okoye – won a gold medal in the contest. The team, led by Uchenna Onwuamaegbu-Ugwu, defeated representatives of other technological giants, including the USA, Spain, Turkey, Uzbekistan, and China, to clinch the gold medal. The group, under the name, Team Save A Soul, developed a mobile application called the FD-Detector, which they used to help tackle the challenge of fake pharmaceutical products in Nigeria. Under the tutelage of Onwuamaegbu-Ugwu, the CEO of Edufun Technik STEM, the golden girls spent five months researching and developing FD-Detector, which swept through over 2,000 competing applications to get to the finals in San Francisco. THISDAY learnt that 115 countries participated in the qualifiers for this year, but only 12 teams from all over the world were selected as finalists for their pitches in Silicon Valley. Expectedly, the news of the award sent the government of Anambra State into a jubilant mood, with officials of the state government openly celebrating it. Most of them took to the social media to laud the state governor, Chief Willie Obiano, for what they termed his support for the education sector in the state, which they said led to the victory. But, suddenly, the joyous news received a twist. The award came under contest as the former governor of the state, Mr. Peter Obi, and his predecessor, Dr. Chris Ngige, also joined in laying claims to the reason for the girls’ success. The Commissioner for Education, Professor Kate Omenugha, attributed the success of the girls to the contributions of the governor. Corroborating, the governor’s chief press secretary, Mr. James Eze, also attributed the success of the girls to the support they got from Obiano before they left Nigeria for the contest. Obi, while congratulating the girls, said there was need to also congratulate the governor of the state for sponsoring the girl’s trip to USA, but contested that there were people and institutions who laid the foundation for the girls to excel. He credited himself as one of those who made the success of the girls possible. Also congratulating the proprietor of the school, His Grace, Most Revd. Dr. Valerian Okeke, the Archbishop of Onitsha, Obi added that his singular action of returning the management of erstwhile seized mission schools to their initial proprietors was the magic wand that led to the present success being enjoyed. He said, “All the way and through the manifestations of the positive outcomes of that strategic initiative, Dr. Valerian Okeke would always remind Nigerians that the Peter Obi administration had set the pace for the grooming of the young ones to become real and effective leaders of tomorrow. “At every opportunity in his diocese, he would assert thus about Peter Obi by saying ‘ife di ka gi akona anyi’ meaning (What is like you should not elude us). During the Obi tenure in government house, Bishop Ezeokafor of Awka Diocese was more radical in his expressions about the handover of schools. “Though not to be interpreted literally, this clergyman often declared that any governor coming after Obi that did not follow his footsteps would see him (Ezeokafor) removing his soutane and fighting the person to a stand-still. Continuing, Obi said the latest achievement by the school was purely computer-based, and that he made computers available to schools in the state, and provided them with trained computer teachers, Internet connectivity, power generators, among others, adding that Regina Pacis – like many other schools in the state – received all these, including two buses and many more. He said even after vacating the government house, he had undertaken what he termed “Schools Apostolate” during which he had undertaken visits to quite a number of schools and contributed in concrete terms to their improvement. He said recently, he funded the relocation of a health centre sharing boundaries with Regina Pacis School, Onitsha, and the donation of the land to the school for their expansion. Interestingly, when the new building on the site of the demolished health centre was commissioned, the authorities duly invited him to the commissioning. Joining in the quest for the glory, former governor of the state and present Minister of Labour and Employment, Ngige, in a release made on his behalf by his media aide, Mr. Nwachukwu Ngige, said the credit should rather go to him. In his statement titled “Before they take all the credit”, Ngige highlighted that the standard of education known today in Anambra rested squarely on the formidable foundation laid afresh by him, between 2003 and2006. He recalled that the preceding government owed almost two years’ salaries to teachers and other categories of civil servants, but he decided to tackle the problem at the roots by instituting the Governor’s Executive Order to make salaries of civil servants deducted as first line charge from the consolidated revenue of the state. Ngige said his government saw the danger in revoking this Executive Order that birthed a robust, rewarding and result oriented state civil service, adding that it was under him that salaries for the first time got paid as and when due while pensioners enjoyed an instant 143 per cent rise. He said gratuity and severance benefits were also paid to deserving retirees. However, dismissing the claims, the CPS said Obiano’s predecessors were merely looking for a way to take credit for a success that they never contributed to. 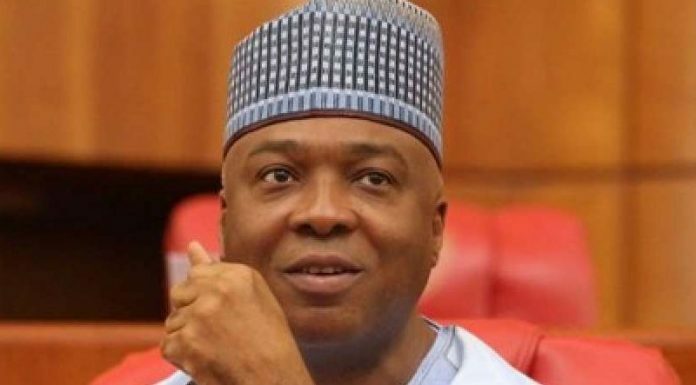 He described the claims by Obi and Ngige as mischievous, while adding that both men would not have come forth to lay claim to any contribution if the girls had performed badly. He said: “These men have had their high moments while in government, and no one can begrudge them, but they should be gracious enough to attribute this victory to Obiano, because they know nothing about it. This victory is a big one for Anambra, Ndigbo, Nigeria and Africa. These are rural girls who grew up here in Onitsha and went to USA to compete with their fellow girls from all countries of the world and came out tops. Meanwhile, when the news broke, the state government planned a befitting welcome party for the girls. Prior to that, the governor had sent a message to the team, asking that they relax in San Francisco and take a deserved rest for one week at government’s expense. Last week however, the girls arrived in pomp and pageantry and were given a welcome befitting of their new status. Eze disclosed that several offers from all around the world have been coming from people who want to offer scholarship to the girls. He said the governor was making arrangement about their rewards, just as a school in Turkey has also written to ask that the girls be sent to them on scholarship. Eze said the government would still deliberate on all of them and take a stand. It is still in doubt if the government would yield to the tempting offers as it would like to savour its victory in full.